Over the last couple of months I have been in the process of moving from my consultant position to working full-time on Ushahidi. One of my favorite projects to be a part of was the redesign of Investing in Africa, by Ryan Shen-Hoover. We’ve rebuilt the site from the ground up using Expression Engine as the core CMS, and have redesigned the look and feel completely. 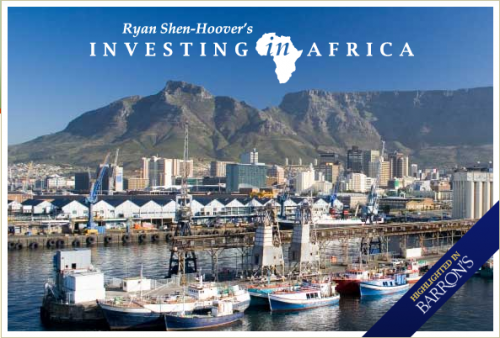 At Investing in Africa, Ryan profiles companies and gives monthly detailed reports on his insights into local markets. So far his library includes annual reports, announcements, and financial results for more than 350 companies spanning 16 markets. @Ababoy – thanks, I’ll try and figure out what might have caused that. Ahh, the joys of last minute bugs in your system upon launch. No problems, I will try again later or when its fixed. Great idea though. Ahh, a little more digging… Expression Engine apparently has a security system in place that prevents too many registration attempts in too short a time, probably to protect against DDOS attacks. I’m not sure why it gives that horrible error message; it seems to be the default message for a lot of things. Getting somewhere though. Hash – Registration now works. I will spread the word. Am from Uganda east africa looking for investors in various sectors of the economy, am dully ready to help in processing land, licence and any other neccesities. Reach me via email for more information.